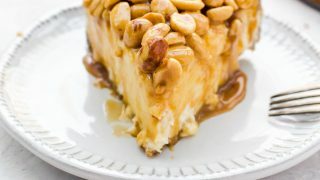 This caramel nut cheesecake is a decadent cheesecake with swirls of caramel that’s topped with caramel-coated peanuts and a generous drizzle of chocolate. This post is sponsored by ACME Markets. All thoughts and opinions are my own. 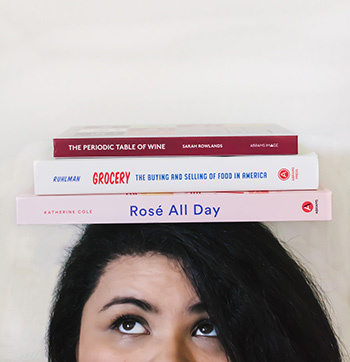 I am addicted to getting more out of what I do on a regular basis. Loyalty reward points at my local ACME Markets are my weakness. 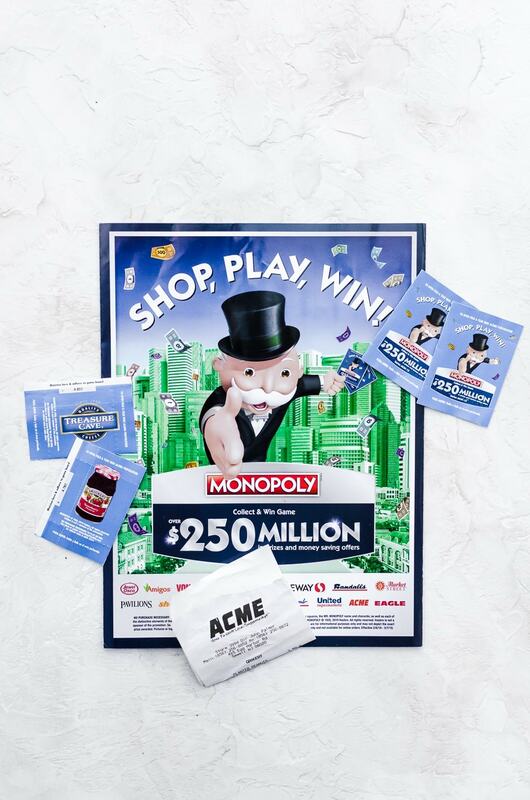 The SHOP, PLAY, WIN!® Collect & Win Game featuring MONOPOLY at ACME Markets is my total jam. How can you not fall in love with playing a game and winning some prizes, all while you do your normal grocery shopping? 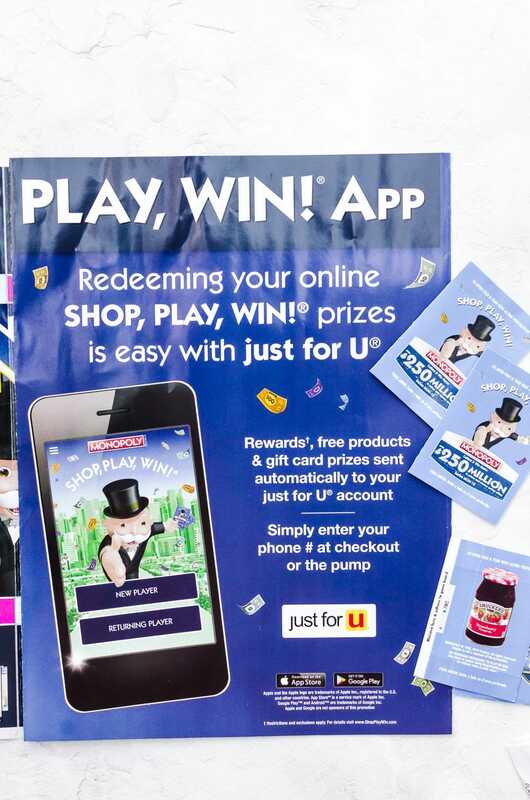 I play the MONOPOLY Collect & Win game at my local ACME Markets, but you can Shop, Play, Win! at any of the Albertsons Companies stores like Albertsons, Safeway, Jewel-Osco, Vons, Pavilions, Randalls, Tom Thumb, Shaw’s, Star Market, Carrs/Safeway, United Supermarkets, Amigos, Albertsons Market and Market Street stores. 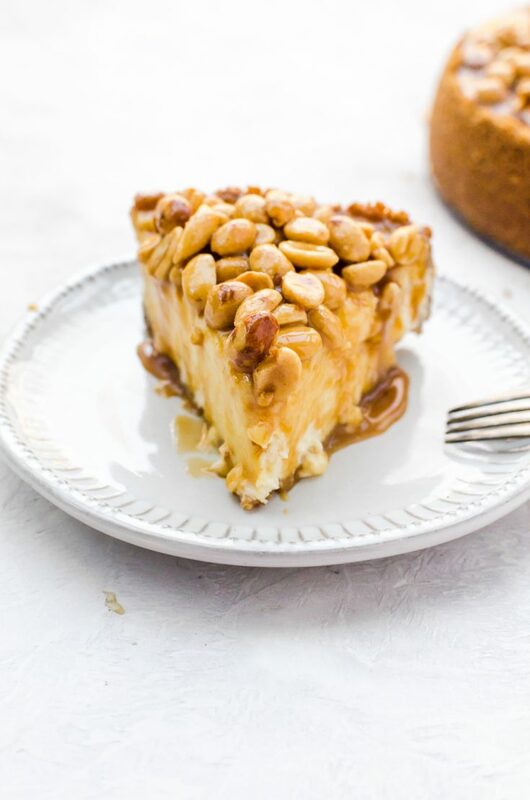 What’s even better is that we use a few of the participating MONOPOLY Collect & Win Game products (those are the products you buy to get more game tickets) to make this caramel cheesecake. They make it easy because there are plenty of participating products in every aisle of your local ACME Markets. 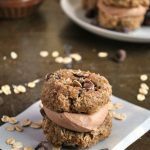 The ones we need for this recipe are found in the dairy and snack aisles. Be sure to download the SHOP, PLAY, WIN!® app to play the online sweepstakes for additional prizes! You can also visit the SHOP, PLAY, WIN!® website for more information. 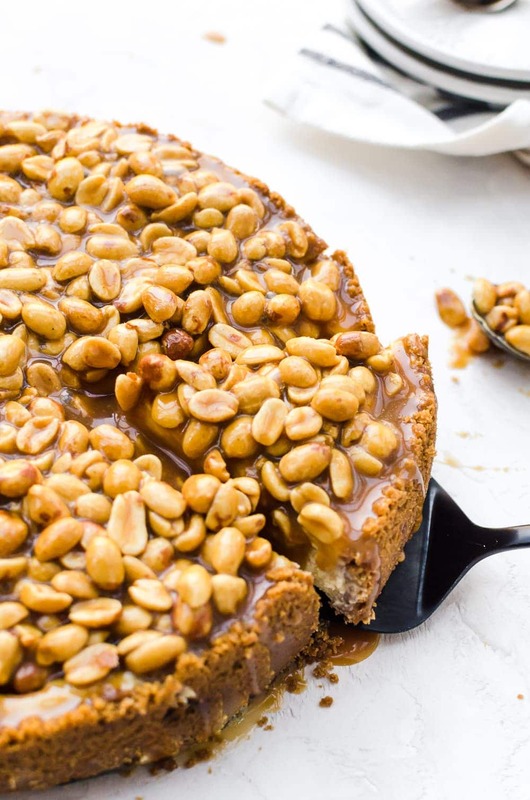 This caramel nut cheesecake uses my favorite cheesecake base. It’s creamy, smooth, and not overly sweet on its own. 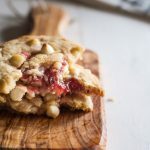 It works well with other flavors and is so easy to put together. I always use this base whenever possible. I make the recipe using sour cream but when I want to cut back on calories, plain nonfat Greek yogurt is the way to go. The substitution works perfectly and makes you feel a little less guilty when you dig in. I used my favorite salted caramel sauce because I try to keep some around whenever possible. I like that I can make it thick enough to not be too much of a mess when I add it to the cheesecake. 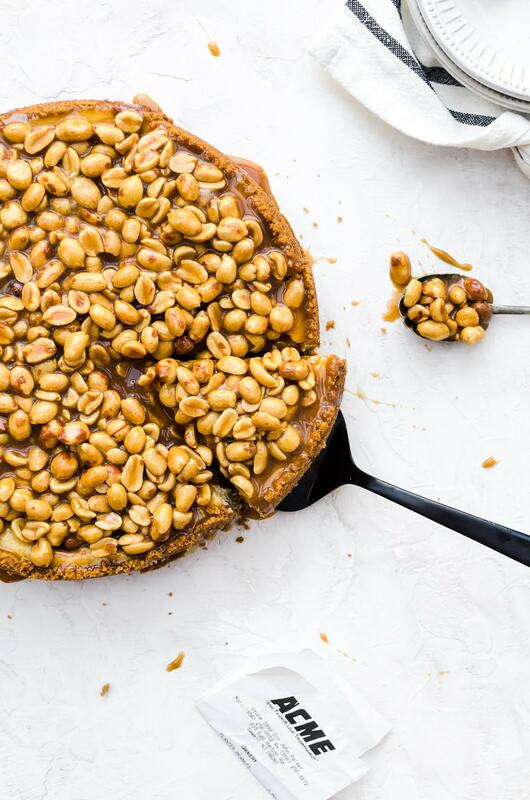 Of course, store-bought salted caramel is just as good and can be a real time saver! 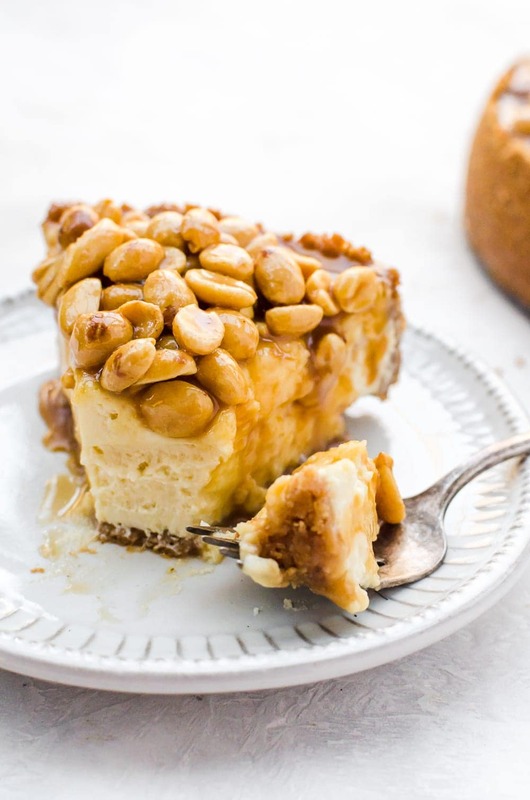 The combination of caramel and peanuts is so good. 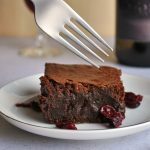 Paired with the cheesecake and an extra drizzle of chocolate, it reminds me of a candy bar. No one can be mad about that. Wrap the outside of an 8-inch springform pan with aluminum foil. Blend together the graham cracker crumbs and the melted butter until the mixture resembles wet sand. Press the mixture firmly along the sides and the bottom of your springform pan. Place in the refrigerator while you work on the batter. Beat the cream cheese gently until it is very smooth. Beat in the eggs one at a time, beating each egg in completely before adding the next egg. Beat in the sugar and vanilla extract, and mix until just combined. Stir in the sour cream, and mix until it is just combined. It is very important that you do not over mix. Pour half the batter into the springform pan. Add in half the caramel sauce over it. Pour in the remaining batter, then the remaining caramel. Swirl the caramel and batter together. Bake for 45 minutes. Do not open the oven all the way, instead crack open the oven door and prop it open a crack for an hour. This helps to prevent cracking. Cool the cheesecake to room temperature, then chill until it is fully chilled through—at least four hours. Mix the peanuts and the caramel together until well combined. Pour and spread over the cheesecake. Serve immediately. The cheesecake is best stored chilled for up to five days. Play the MONOPOLY Collect & Win game! Head over to your local ACME Markets store to get started. And don't forget to visit www.ShopPlayWin.com.